Jobs Announces In DR. RUTH K.M. PFAU, Civil Hospital Karachi 26 December 2018. 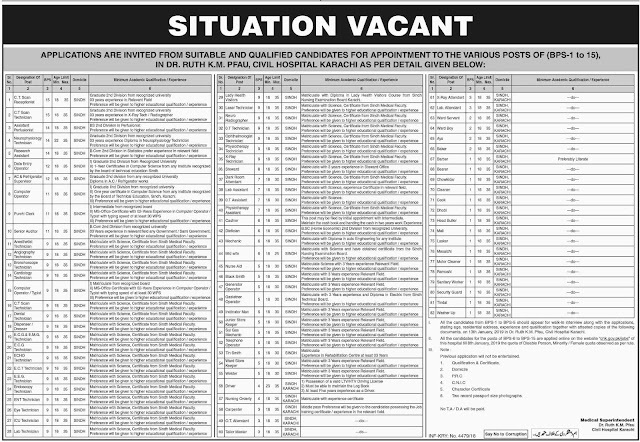 Sindh Government has started new recruitment program 2019 for a contract basis latest jobs at Shaheed Mohtarma Benazir Bhutto Accident, Emergency & Trauma Centre at Civil Hospital. How to Apply For Karachi Jobs 2019? 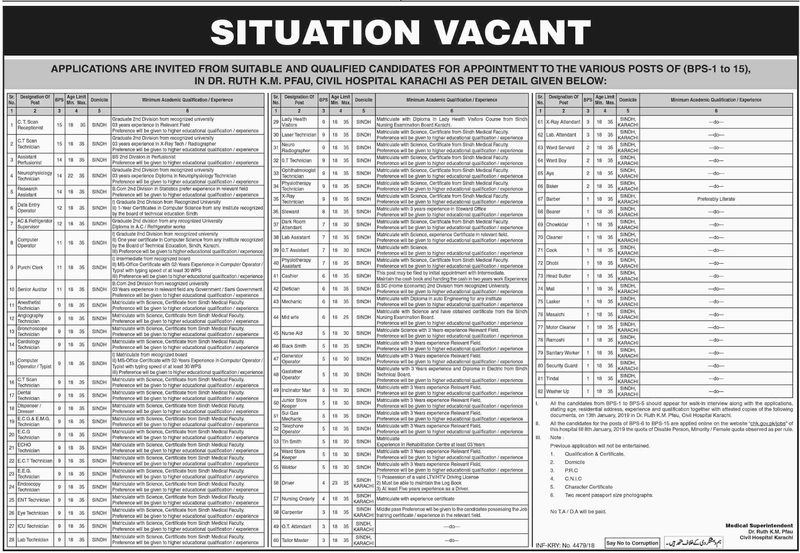 1) BPS 1 to BPS-05 Should appear For Walk on 13th Jan 2019 in Dr. Ruth K.M Civil Hospital Karachi.